YouTube app not working for you? Well, you’re not the only who runs into this problem and chances are that you won’t be the last either. Certain Android apps have the decency to crash and stop working every now and then. Thankfully, we’ve got a few simple tricks up our sleeve that may help you fix this issue. Here’s how! 1. YouTube app not working? Surely it’s the app? First of all, before you do anything, make sure that it’s the app that’s faulty and not the website. Otherwise, you’ll spend precious time and effort into trying to fix something that’s not broken. There are some rare instances that YouTube needs to go down for maintenance and stuff like that. And when that happens, the YouTube app is obviously not going to work either. So, first things first, check out if YouTube is up and running. There are multiple ways to do that. But, the easiest option is to use your PC and access the website. If you don’t have a PC, then you can use your phone’s browser and go to Youtube.com. If you can’t play any videos or if the website doesn’t load up at all, then chances are that it’s not the app at fault but the website itself. In that case, all you can do is wait until the website is up and running again. Once you confirm that the website is up, then you should be able to use the YouTube app normally again. If not, keep on reading. Yes. This is truly a very cliche solution but it’s also one of the easiest methods of solving software related problems. So, before moving on, in case that you haven’t already, try rebooting your device. 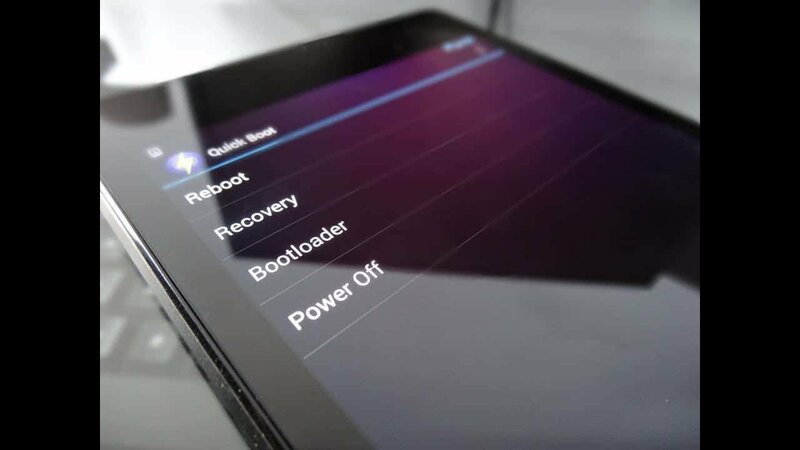 The process may be slightly different for each phone or tablet, but you generally need to hold down the power button until a menu comes up which gives you the option of rebooting. The reason that rebooting often solves so many issues is that it restarts everything that may have been bugged out, glitched or anything along these lines. This includes services and apps like YouTube. After the reboot is complete, simply launch the app and see if it works or not. Is the YouTube app not working still? Time to move on then. 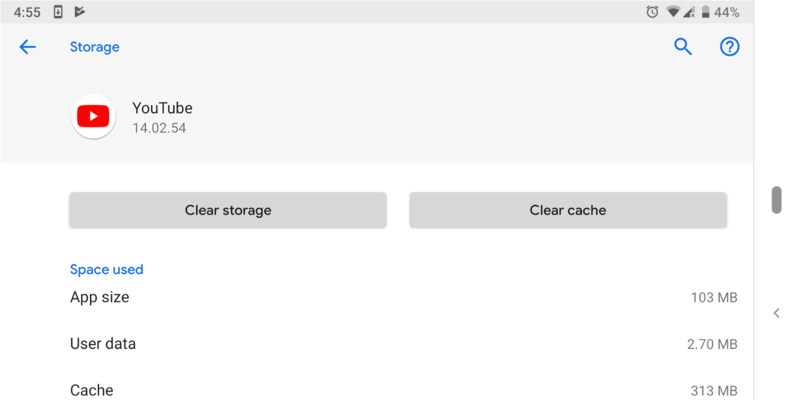 Clearing your cache and/or data is something that may help with the issue as well. Not to mention that it’ll give you a bit more storage. That should do it. The process may slightly differ from device to device but you should be able to generally find the option under the apps category. After that, try launching YouTube again and see if it works. Hopefully, it’s fixed now. Nothing? Well, there’s a chance that your network is to blame. But, if your Internet connection was to blame, then you wouldn’t be reading this article, would you? That or your network speed is too slow to play videos, or you’re reading this with a PC while the phone is not connected, or something like that. That being said, do make sure that your network is not to blame. Especially if it’s a shared network; aka Wi-Fi. There are times where multiple people are leeching data at once which can significantly reduce the network speed and even make videos unplayable. Especially if your network is slow to begin with. YouTube app not working still? Well, only one thing left to do now. Try completely uninstalling it and then install it again. If that doesn’t work, chances are that nothing will – maybe not until an update fixes it at least. 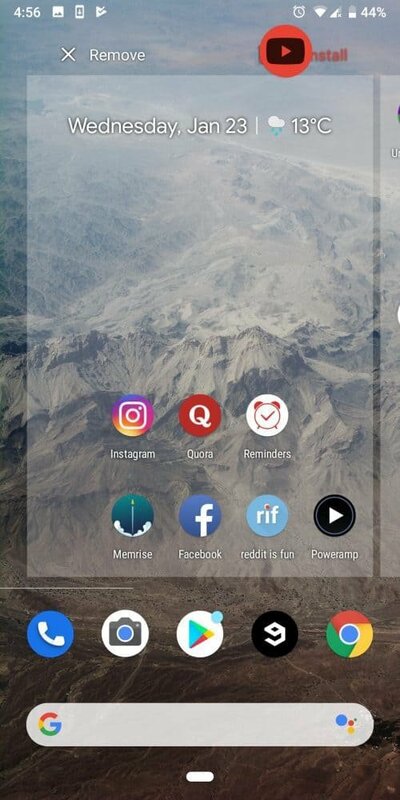 The easiest way to uninstall an app is through your launcher. Simply find it, hold it down, and move it over to the uninstall button. You can see how in the image above. In the rare instance that your launcher doesn’t allow you to uninstall apps through it, then your easiest alternative is the settings app. In most cases, this will not actually uninstall YouTube but it will simply revert it back to its factory version. That should work as well. Before trying to install it again, try using it with your older version. It may be that a recent update broke it and that your older version is working like a charm. If that’s the case, keep on using the older version until you find out that another update has been released which fixes your previous issues. That takes us to the next and (almost) final step that you can try out. This may not be about the YouTube app not working, but about something else. 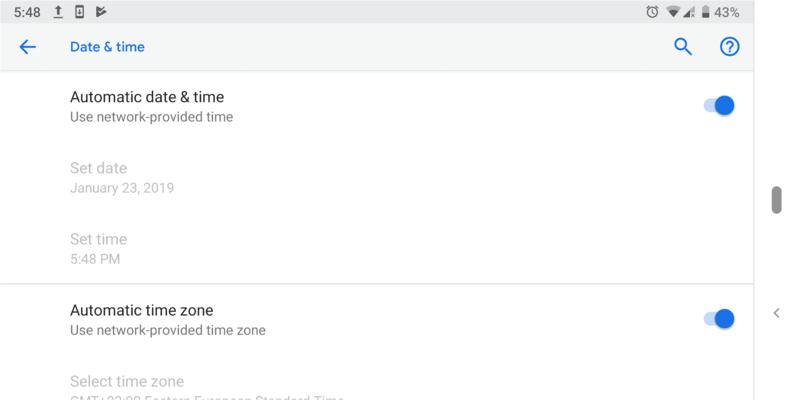 There are many Google services that will refuse to work with your device unless your time and date is set correctly. If memory serves right, this has something to do with security certificates. In any case, what matters is that you need to make sure that your date and time is set correctly. Just in the rare instance that this is your problem. At that point, you can adjust the date and time. It’s recommended to just keep it on the automatic setting. If it doesn’t work correctly, try reselecting it again. Still nothing? Then you need to adjust your time manually. Again, the process may slightly differ from phone to phone. But, you’ll generally find the option in your settings. Not a big deal. Other than that, make sure that your phone and the YouTube app are running the latest updates. That is unless it’s the latest update that is causing a problem, of course. For checking out on the YouTube app, head over to the Google Play Store and check your installed apps in “My Apps”. Or something similar. The process may be slightly different from phone to phone. Surely it’s the app or YouTube at fault? There are countries that block you from accessing certain websites. China, for an example, is one region where YouTube is blocked. So, if you try to use the YouTube app in a country where YouTube is blocked, then it’s naturally not going to work. There is a workaround to this and that’s using a VPN app. VPN apps essentially disguise your identity by making it look as if you’re browsing the web from another region. This should give you access to any blocked websites. If you don’t know which VPN app to choose, then do keep in mind that we’ve made a short list of the best free VPN apps that you can find. So, check it out! Hopefully, that solved your issue. If not, chances are that all you can do is wait for an update that will fix whatever it is that prevents you from using the YouTube app. Did you find this article useful? Then make sure to share it with your friends and don’t forget to follow us on Facebook and Twitter for the latest news, reviews, listicles, apps, games, devices, how-to guides, and more!